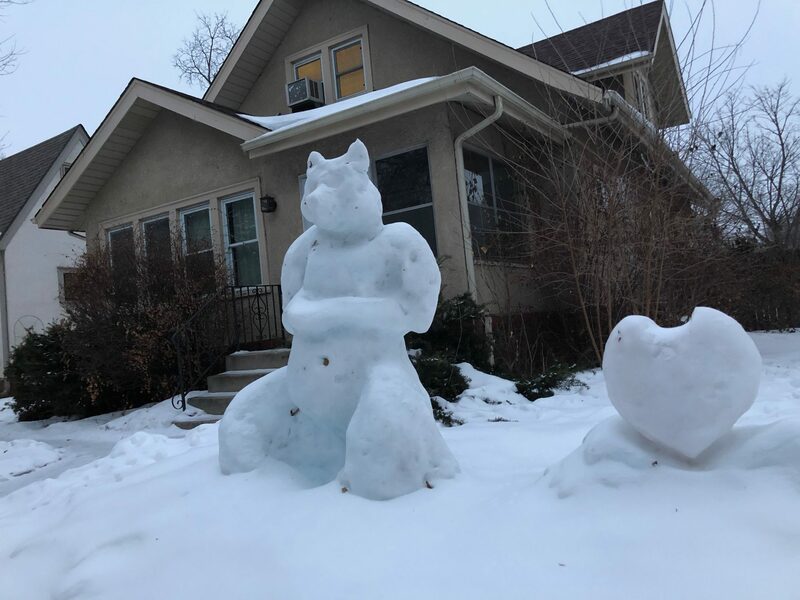 I saw this snow bear and heart on a walk with my dog earlier this week so I had to go back and get a picture of it. It’s on 32nd Avenue between 34th and 35th streets. When I saw it earlier the bear was blue and the heart was red. It’s quite a Valentine’s Day presentation if that’s why they made it.